It's the night before the Fourth of July and all across the United States people are getting ready for hot dogs and fireworks. Decked in red, white, and blue, a family heads to a parade, hosts a backyard BBQ with friends and family, dodges an afternoon thundershower, and of course, watches a fireworks show. 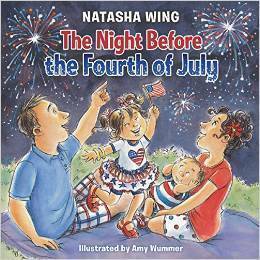 The Night Before the Fourth of July captures all the fun, excitement, and pride of the best summer holiday! 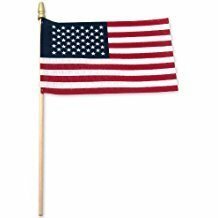 Add 3 handheld Made In America flags.